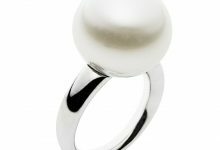 Home/ Jewellery/ Fashion Jewelry/How To Take Care of Opal Jewelry? How To Take Care of Opal Jewelry? A stunning gemstone that demands your attention to keep looking great, opal can last a lifetime if cared for properly. In fact, many people simply love opal gemstone jewelry. 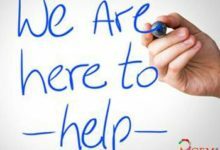 If you are one of them and wish to know how can keep this valuable jewelry as good as new for many years, then here’s a complete guide to opal care that you must read and follow. How To Take Proper Care Of your Opal jewelry? 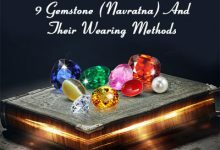 While water is generally not an issue with opal gemstones, when it comes to wearing Opal Doublets and Triplets, make sure you don’t wet the jewelry. So, avoid wearing such pieces while performing water sports or while heading towards a rain party. Opal gemstone, like many other natural gemstones, is susceptible to cracks and scratches easily. This is why it is recommended to not to wear opal jewelry while playing sports or while working in the garden as dirt can easily ruin the beauty of your opal stone. Do not wear opal jewelry when applying any soap or lotion. 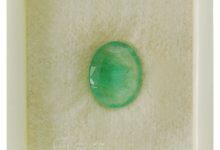 As opal is usually very absorbent, applying such products while wearing opal jewelry may result in dirt build up and may even dull the shine of the stone, forcing you to clean it more often than necessary. 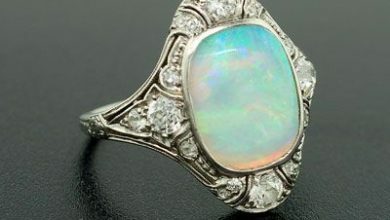 Keeping your opal jewelry safe from a sudden temperature change is highly important as opals are extremely sensitive to temperature change. Keep your opal jewelry at a good distance when you are about to apply perfumes, hairsprays, colognes, etc. as opal stones can react adversely if came into contact with acid and alcohol-based products. For those who don’t want to wear their opal jewelry for long and wish to store it for maintaining it well, it is important to note that the jewelry shouldn’t be stored under hot lights for a long period. 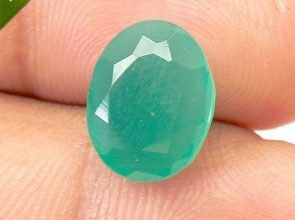 If stored under hot lights, this semi precious gemstone may get cracked due to heat build-up. 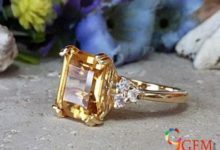 So, to save the gemstone from cracking, keep it away from direct hot light while storing it. Store your opal jewelry separately in sealed plastic bags with a damp piece of cotton so that dehydration doesn’t happen and the stone is well maintained. 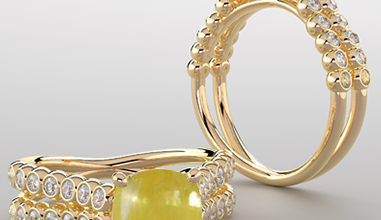 As a precautionary measure, make it a habit to check your opal jewelry regularly. 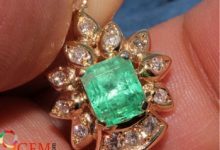 This will help you to determine any damages well in advance so that you can get them repaired and keep your jewelry in good shape. How To Clean Opal Jewelry? Do not use any harsh chemicals, bleach or abrasive cleaners while cleaning opal jewelry. When such materials are used, your opal gemstones may get scratched easily, leading to irreparable damages at times. To get the right results, you can always clean your solid opal jewelry with warm, soapy water and a soft cloth or soft toothbrush. 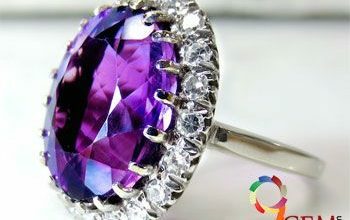 This will clean all the grime and dirt that’s stuck in the hard-to-clean areas of the jewelry. Opal doublets & triplets can be cleaned by wiping them using a soft damp cloth and mild detergent. However, make sure that these are not soaked or immersed in water or cleaning solution. You can buy a specially designed jewelry cloth to clean your opal jewelry. If your opal gemstones are embedded in the silver metal, then you can get a special silver cloth to clean the same. Likewise, if it is embedded in the gold metal, then clean it with a gold cloth. Doing this will help in maintaining the sheen of your opal gemstones as well as the metal they are studded in. Make sure that the cloth is stored in a ziplock bag to avoid dust particles from contaminating it. 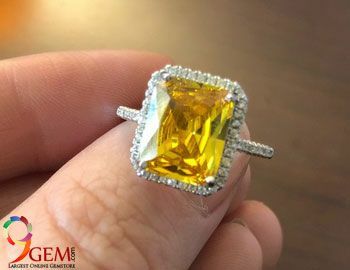 If you are not confident about cleaning your jewelry on your own, then you can always take it to a reliable and renowned opal jeweler who offers opal cleaning services too. At the time of taking your opal jewelry to a jeweler, make sure you do not get your Opal Doublet or Opal Triplet Jewelry cleaned in an ultrasonic cleaner. As these machines can loosen the glue bond because of water penetration, your opal gemstones may fall easily when cleaned using an ultrasonic cleaner. As a matter of fact, even solid opals are not advised to be cleaned using an ultrasonic cleaner as the vibrations of this cleaner may cause cracking in the solid opal. It should be a habit to clean the opal jewelry regularly. Once in every two months is a good practice to follow. This will help to get rid of all the accumulated dirt and to make the cleaning process easier and faster. Should you get your Opal jewelry polished? No matter how much care you might have taken to maintain your opal jewelry well, there comes a time when you may think that your opal stone has lost its shine, or when you can see some scratches on its surface. 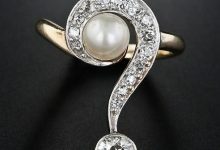 If such a situation comes, which usually happens after years of use, then you can take your opal jewelry to a trustworthy jeweler and get it professionally polished. This will give a new life to your opal jewelry and keep it damage free due to inspection from professionals who can fix any issue then and there. 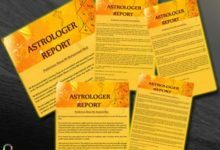 Why Rings Are Preferred To Wear Gemstones For Astrology?